Here at Black Oak Analytics, we focus on entity resolution software, which means resolving entities and determining which ones on are the same and which aren’t. For example, are two pieces of fruit both apples? Or an apple and an orange? Even more specifically, HiPER can looking at billions of records and tell you if two apples are to two different apples or the exact same apple. When we use that process to identify individuals, the resulting process is identity resolution. Why is this important? Identity resolution has been a topic of conversation in marketing technology circles for a while and still has articles that pop up about it on a regular basis. Identity resolution on marketing data is relatively small in scale compared to enterprise wide identity/resolution, which is an up and coming challenge more and more organizations are going to be facing in the coming months and years. Enter the European Union’s General Data Protection Regulation (EU GDPR). 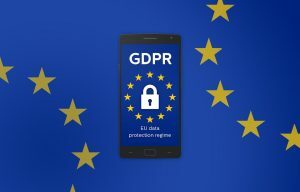 The GDPR and upcoming state regulations in the U.S. are enacting requirements that organizations be able to identify, provide, and even suppress personal information about individuals in their system. As written, these regulations apply to all personal data about an individual. Existing systems were not designed with this functionality in mind. Other online privacy laws include California’s Consumer Privacy Act of 2018 that regulates what companies can do with data. Meanwhile, Vermont has passed a law to require data brokers to become registered with the state. These laws are indicative of the direction regulation is moving, which is regulation of people’s data. Dr. Sandy Pentland from MIT has been talking about this for years, saying that with data comes a responsibility by organizations with possession of, or access to, the data to act ethically with it. This sentiment not going away any time soon. However, before your organization can treat your data ethically, you have to know what’s in. As of September 2017 only 3% of companies met basic data quality standards, which includes things like knowing what’s in your data, where it resides, how useful (or how liable) it is, and all that good stuff. Are you in the 97% and trying to be in the 3? To find out more about your company’s data and to have a discussion about our HiPER software and what it can do for you, contact us at Black Oak Analytics (info@blackoakanalytics.com) today.